Our Helium Lines and Transfer Lines can be built to any specification our customer wants. Our lines are available in all different sizes, end configurations and material. We have been building lines since 1988 and our prices and quality of product are the best in the industry. 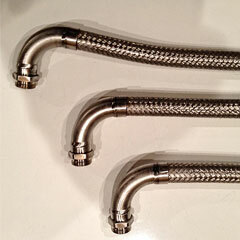 All of our lines are fully tested before we ship them to ensure they do not leak or have any other malfunctions. We can also provide various types of testing along with certification per our customers request. We stock common lines such as Sumitomo, Leybold and GE so we always have them ready to ship in case of an emergency. Our delivery for custom lines is usually 3-5 days. 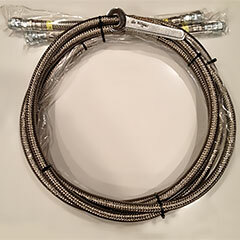 Custom Built Helium Lines and Transfer Lines. Using popular brands such as Sumitomo, Leybold, and GE.